Vi Nguyen is an associate with Horwitz + Armstrong, focusing her practice in the areas of corporate transactional law, securities, general corporate governance, contract matters and business litigation. Ms. Nguyen earned her law degree from the University of San Diego School of Law, where she focused her studies on international business transactions and cross-border contracts. 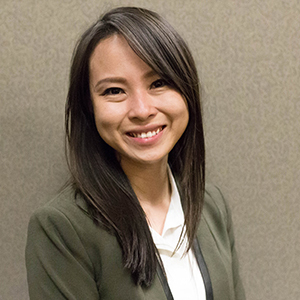 Ms. Nguyen studied abroad at Paris-Sorbonne University and also holds a degree concentration in International Law. Prior to joining Horwitz + Armstrong, Ms. Nguyen worked as in-house counsel for an international licensing agency where she focused on copyright, trademark, and licensing matters, including litigating arising out of the use of Betty Boop, Marilyn Monroe, Tom & Jerry, and Gone with the Wind images on retail products.